About 1,000 people were on hand at the Albuquerque Convention Center Saturday night to welcome the first Resurrection Fighting Alliance event to take place in the state of New Mexico. RFA 18 saw the RFA Flyweight title changed owners as Brazil’s Alexandre Pantoja was able to weather an early technical storm from champion Matt Manzanares. In the second round, feeling a sense of urgency, Pantoja would be a fierce aggressor and take the champion down. After an initially failed rear-naked choke attempt Panoja would gather himself and produce an extra boost of energy to safely secure the hold which was so tight it put the champion momentarily to sleep; forcing the referee to halt the contest via technical submission at the 02:38 mark. After a three year hiatus Tucumcari, New Mexico’s Abel Cullum showed anything but rust against UFC veteran Ulysses Gomez. Cullum would come out extremely tight with his defense. His punches were the same. His shots were strategically placed to the body and head to open up a takedown which he earned on his first attempt. A deep guillotine would force Gomez to tap at the 01:29 mark of the opening round. In one of the more anticipated fights of the night local fan favorite Adrian Cruz of Rio Rancho, would see a short night against Justin Linn. Very early in the first round, Cruz would throw a left kick as Linn simultaneously threw a right knee. The contact would cause a break to Cruz’s fibula and tibia. As Cruz looked at his injury, the referee possibly processing the freak injury stood motionless. Linn would immediately capitalize on the situation and attack Cruz who was forced to retreat and cover up on the ground. After Linn delivered five unanswered blows the referee would finally come to his senses and stop the bout. 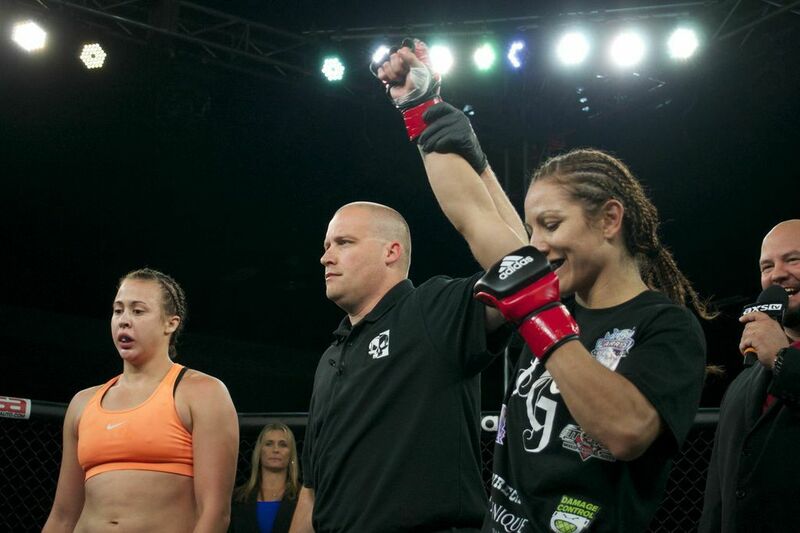 After suffering a broken arm at the hands now UFC-signed fighter Rin Nakai 16 months ago, FIT NHB’s Brenda Gonzales made her return to the cage against Heather Bassett. Bassett who appeared to be struggling to breathe at Friday’s weigh-in looked 15 to 20 pounds heavier on fight night. She would use the weight advantage and lean her body into Gonzales’ early on. Bassett would eventually earn a takedown but while on top was unable to implement anything of significance thus allowing Gonzales to work an armbar to which Bassett would almost instantly succumb to. 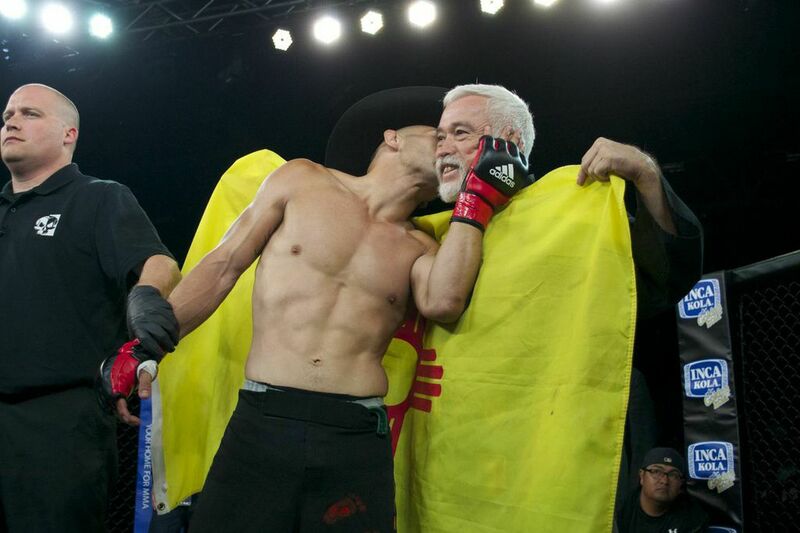 The victory would mark the first time that Gonzales was victorious by submission. In what was the most competitive fight of the evening, Albuquerque’s Tim Sosa and Pueblo, Colorado’s Zac Riley put on a thrilling first round where both men had their moments. The second and third would see a very aggressive Sosa who had success from the clinch oddly enough initiated by Riley. Sosa’s elbows and knees to the body would receive the nod from judges via unanimous decision bringing his record to two wins and two losses. 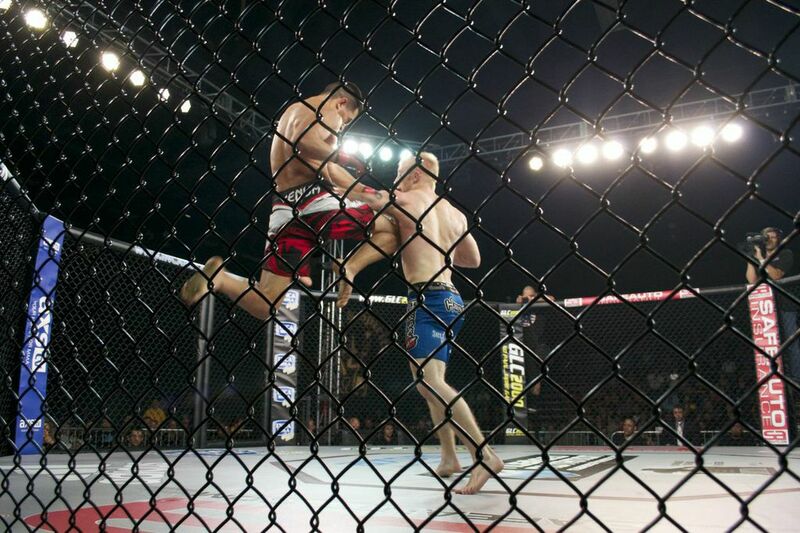 RFA 18: Who is co-headliner Abel “The Silent Assassin” Cullum?